American Airlines, B777 (reg. N758AN) was getting ready to carry out flight (Flight AAL037) to the Dallas-Fort Worth Airport (United States). The aircraft was stopped on taxiway Z1, awaiting clearance to enter runway 36L. At the same time, Iberian Airbus, A330-300 (reg. EC-LZX) Flight IBE6118 had landed on runway 32L inbound from the Miami Airport (United States). It taxied on standard route B to gate 12. 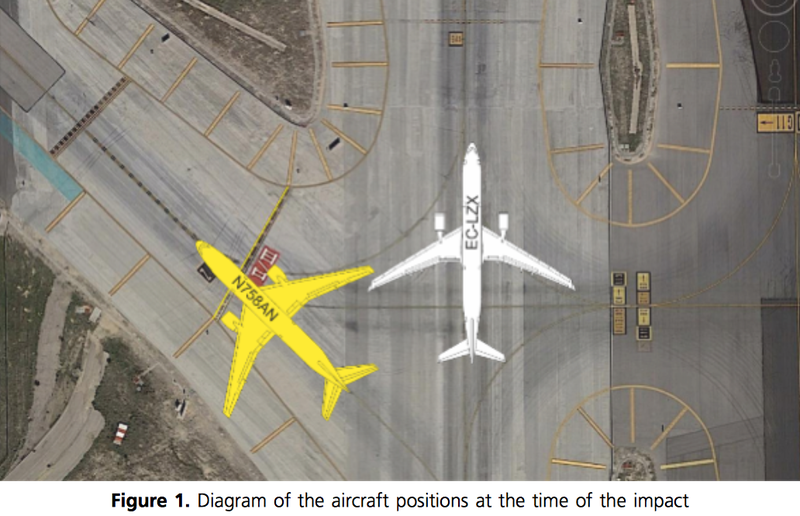 As it approached the intersection of taxiways B2, B3 and Z1, the left wing of A330 got struck to the right elevator of B777, causing a crack on the lower surface. 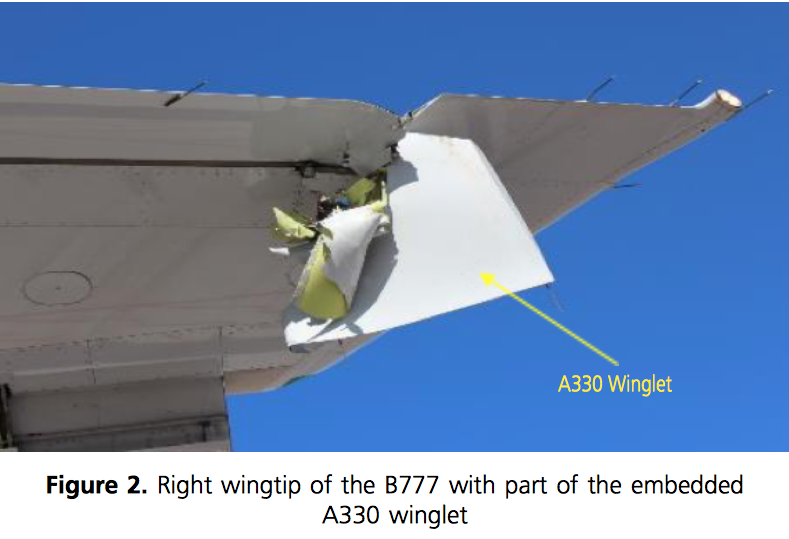 As the A330 continued taxiing, it resulted in its left winglet impacting the right wingtip on the B777. The outline of the investigation report is below. The decision of the crew of the aircraft EC-LZX to continue taxiing behind aircraft N758AN was the main reason for this incident. Aircraft N758AN had stopped 40m away from the holding point sign for runway 36L, such that it was encroaching on the strip of taxiway B.